Canadian born producer Rene LaVice brings you into the New Year with two fresh cuts, tracks which set a standard for the coming twelve months and prove the stalwart isn't pulling any breaks. Having played shows worldwide, with a string of high profile appearances including London's seminal Ram New Year's event, this forthcoming single has been heavily anticipated. The success of his first two studio LPs on imprint Ram Records have also strengthened his position within the drum & bass title weights, demonstrating that he's able to deliver ground breaking pieces of sonic art year after year. And with 'Sound Barrier' and 'Squeegee' setting the markers for 2017, it's looking to be another phenomenal year. 'Sound Barrier' begins with each pad adding to its lofty, almost extra-terrestrial atmospherics. Slowly the tension builds, before you're brought forward on a succession of elevating synth patterns and overpowering snare. With each layer, Rene builds an impenetrable fortress, which quickly explodes with smashing drums and aggressive LFO. There's no time for respite; beats fly at you from all directions and its driving bassline keeps the tempo. Pumping with energy, Rene takes on a new production style, which still holds onto the more tell-tale standards which made him so infamous. On the flipside 'Squeegee' presents itself with quaking bass notes and a foreboding intro. Carefully winding up of airy patterns and distortion, you're taken into a mystical, sonic realm. Dropping with sub-terranean intensity, the hook grabs you through every peak. Clicking percussion underpins the melody which drifts between each segments, pulling you in even deeper. Once again, synth adds a lighter feel to the track. 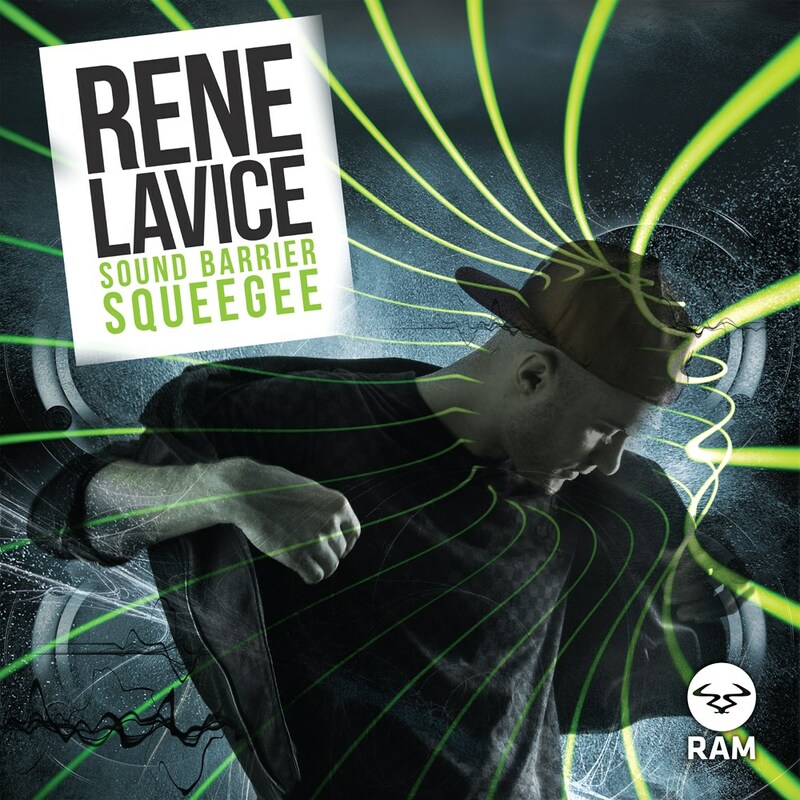 It's the perfect accompaniment to 'Sound Barrier', slightly more understated but still providing the kick that Rene LaVice fans will be expecting. The New Year certainly has seen a change for Rene LaVice. He's added not just to his discography, but also the vast soundscape he was already able to tap into.